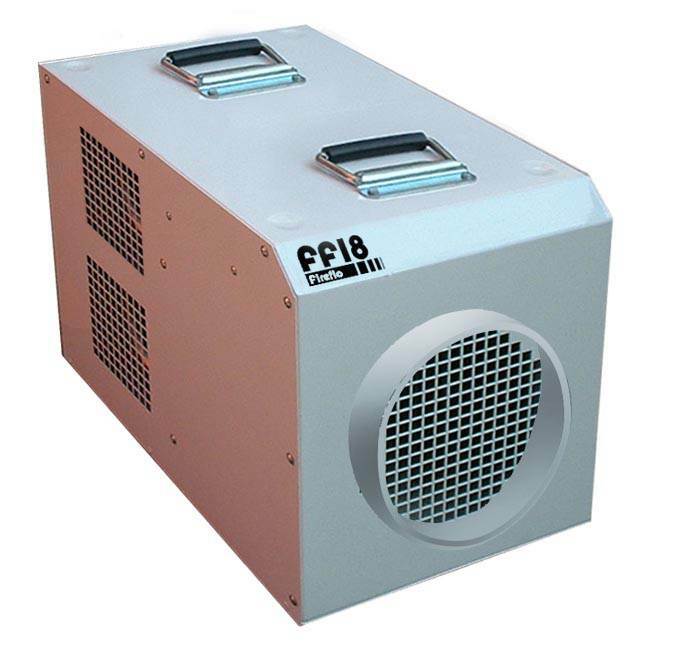 Airflow 1200 cubic feet per minute (2040 cubic metres per hour) with pressure generation of 400+ pascals. Powerful alternative to Propane. Massive air pressure allows in excess of 10 metres x 10" flexible ducting to be fitted. Robust construction. Quiet running, rugged all steel design. Dimensions H570 x W400 x D520mm Product Weight 38Kg Heat Output (max) 29Kw Voltage 415 volt, 3 phase, industrial fan heater with switch to 9 kilowatt and fan only setting for cooling.